A lot of homeowners discover that they aren’t sure where to turn when they need a tree cutting service in Morris County NJ, whether they’re in need of tree cutting or tree removal. You want to make sure you locate a contractor who not only strives to supply the best quality work possible, but one that also places an emphasis on attentive customer service. Hiring a local contractor can also be in your best interest as they’re going to place an importance on maintaining a solid reputation in the local area, and will also be in a much better position to provide you with 24 hour emergency tree service. Landmarq Tree Service, based out of Morris County NJ, is available to assist if you’re looking for a quality tree service contractor in Morris County NJ . When you are you’re looking for a tree cutting service in Morris County NJ, you want someone who is reliable and can manage all your requirements for tree service. You never want to take any chances when it comes to the safety of your family and home. When you hire Landmarq Tree Service, you can always count on an accurate estimate and no unpleasant surprises. We do our best to maintain our low tree removal cost so we’re able to better serve homeowners in the local community. Our staff at Landmarq Tree Service takes satisfaction in the fact that we’re recognized as one of the best choices for a tree removal company in Morris County NJ . Because we do not take our excellent reputation as a tree removal contractor for granted, we constantly search for new ways of taking our dedication to complete customer satisfaction to a higher level. One example of our efforts to fulfill the needs of local residents is our 24-hour emergency tree removal in Morris County NJ which ensures we are available to eliminate hazardous thunderstorm damaged trees as soon as possible. Furthermore, we are always looking for ways to reduce your tree removal cost. Employing a tree cutting service in Morris County NJ isn’t just about convenience. It is also crucial for your security. Recently the Tree Care Industry Association performed a review of 2013 media reports of homeowner tree accidents. They found news stories about 45 tree removal or tree cutting accidents and, unfortunately, 28 percent of these injuries were fatal. The majority of homeowners see a qualified contractor for tree removal in Morris County NJ doing tree cutting or removal work and it appears to be comparatively simple. Though the aim is to keep their tree removal cost to a minimum, they quickly find that the job is not as simple as they initially believed it was. A tree service in Morris County NJ will assess the condition of the tree before cutting to discover which way the limb or whole tree is going to fall. This evaluation determines the weight distribution of the tree. 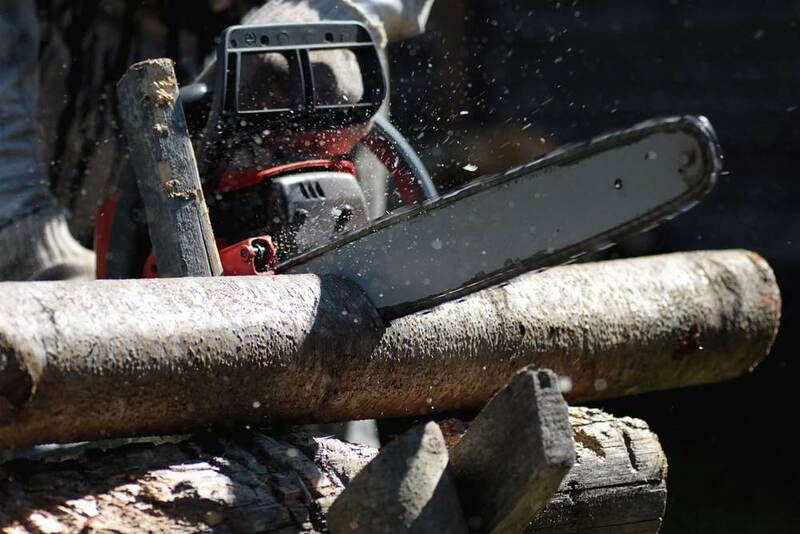 It’s not always easy to see defects inside the tree limb or trunk, which is why many homeowners are surprised when a huge limb falls when they are performing their own tree cutting. A tree limb can fall and hit the ladder, resulting in the homeowner becoming injured as a consequence of this miscalculation. Now money needs to be spent on medical treatment as opposed to saving on their tree removal cost. Clearly, employing a professional tree service in Morris County NJ is the safest option. When facing a safety issue like hazard trees, it’s important to call a professional company for tree service in Morris County NJ . Storm damage, disease, rot, or insect infestation can all result in the limbs of the tree weakening, resulting in an increased danger of a large limb falling on your home or a family member. 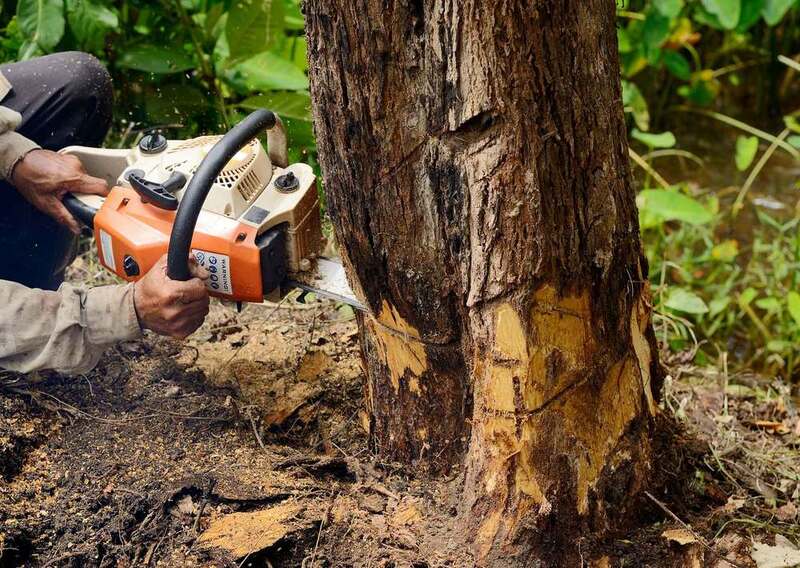 Additionally, it may be challenging to assess the extent of the harm to the tree’s inner structure, which means that tree removal or tree cutting can be even more dangerous. At Landmarq, our emergency 24/7 tree removal in Morris County NJ means that you won’t need to risk personal injury, and as an alternative can hire a professional tree service contractor to handle tree cutting or removal. In addition to tree removal services, Landmarq Tree Service offers routine tree service in Morris County NJ . By taking advantage of tree trimming and pruning services, it is possible to optimize the health and growth of your trees. If you are not sure what you have to do to keep your trees in top condition, we provide complimentary consultations that require assessing the well-being of your trees. When they report their findings, our tree evaluators give you a strategy to take care of your trees which will detail the reduced tree cutting and tree removal cost you’ll incur when you execute the plan. If you make an investment in routine tree service in Morris County NJ, you’ll guarantee both the health of youth trees and minimal tree removal costs going forward. 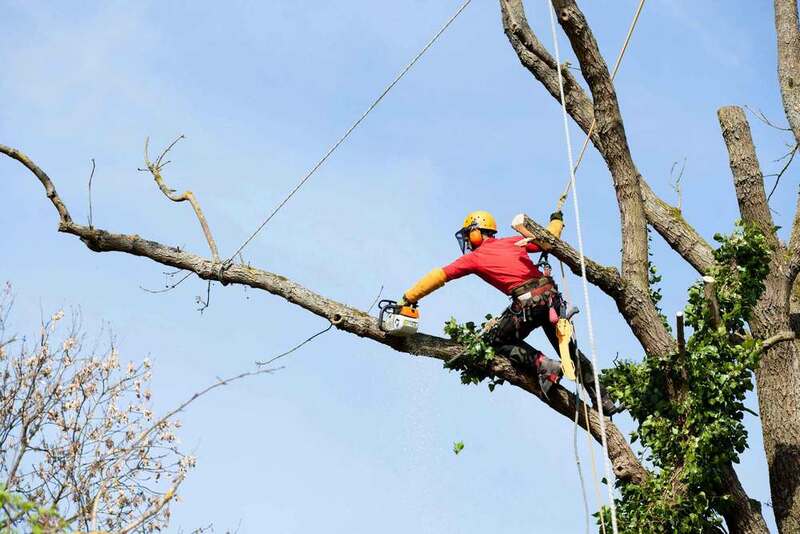 For more than two decades, our specialists at Landmarq Tree Service have worked hard to earn the repeat business of local residents who require tree removal company in Morris County NJ . When you call to arrange for tree removal, you can depend on our tree experts to arrive at your home in a timely fashion and work as cleanly and efficiently as possible. When you have any questions about our tree removal and cutting work while we’re at your home, our tree specialists will be more than happy to provide you with accurate answers. Our strong reputation as a company for tree removal in Morris County NJ rests upon our ability to provide dependable expert tree cutting and removal services at a time that’s convenient for you, as well as at a price that you can afford. To find out more regarding Landmarq Tree Service, call us now at (973) 287-4826 and make an appointment to receive a tree service consultation free of charge.